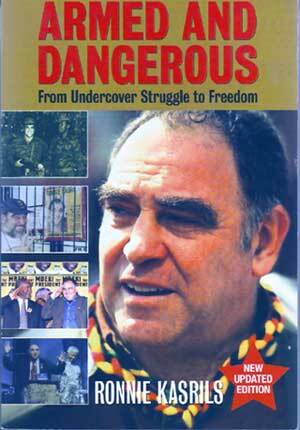 My fourth "Top Operatives of South African Socialism" focuses on ANC Minister of Intelligence, Ronnie Kasrils. 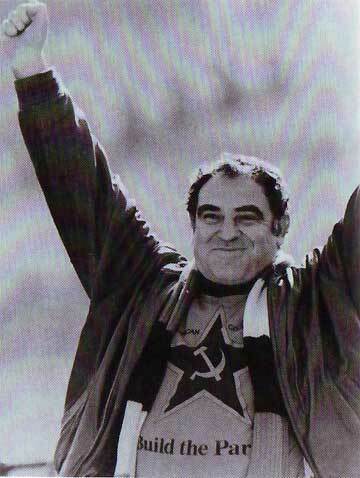 Born in 1938 in Johannesburg, Ronnie Kasrils was the son Lithuanian immigrants. From 1957-58 Kasrils was a law clerk, but left to work as a film scriptwriter. In 1960 he moved to an advertising agency in Durban where he worked until his arrest in 1962. Kasrils joined the ANC in 1960 and partly motivated by the Sharpeville Massacre, went on to join the banned South African Communist Party in 1961. Kasrils became secretary of the ANC/SACP front "Congress of Democrats" in Natal and was tried together with the organisation's chairman and treasurer, for allegedly breaking emergency regulations. Kasril's was acquitted, but was fired from his advertising job and was also given a five-year banning order prohibiting him from public speaking. The "Congress of Democrats" was also banned in 1962. In 1961, Kasrils had also joined the ANC's military wing "Umkhonto we Sizwe" (MK). In 1962, he became a member of the regional command of MK under the leadership of Curnick Ndlovu and Billy Nair. Kasrils was involved in several MK operations including a raid on a road construction site for dynamite and sabotaging electric pylons around Durban. With the police on his tracks, Kasrils went underground in 1963 and in October was asked to go abroad for military training. Kasrils's wife, Eleanor, had also been arrested, but escaped from police custody and left South Africa with him in October 1963. In 1964 Kasrils underwent training in Odessa in the Soviet Union, completing a general military course and specialist course in military engineering. In 1965 he was sent to London to work for the ANC and from 1966, helped train underground SACP activists in establishing underground propaganda units in South Africa. From 1977, Kasrils worked in Angola where he lived in the ANC camps for three years. He served as a political instructor to black activists who had left South Africa after the 1976, Soweto Uprising. He held the rank of MK regional commissar in Angola. 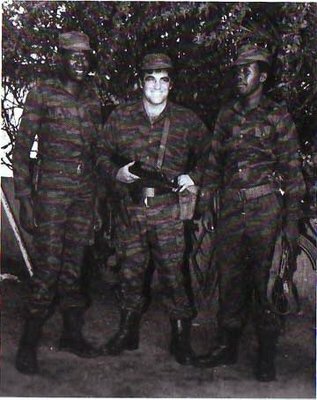 In 1980, Kasrils was transferred to Maputo to help develop the underground forces. In 1983, after completing a specialist course to the rank of Brigadier in the Soviet Union, he became head of military intelligence and a member of the political-military council of the ANC in Lusaka. In 1987 he joined the national executive committee of the ANC with the portfolio of military intelligence. In 1990, prior to the unbanning of the ANC and the SACP, Kasrils returned to South Africa to participate in Operation Vulindlela (Vula). This was an underground operation, preparing the ground for violent revolution. Unknown to even many ANC leaders, Operation Vula was ultra secret and designed to plunge the country into anarchy, while "moderates" negotiated their way to power. Kasrils was underground in Durban when talks between the government and the ANC were taking place. After indemnity was given to the whole ANC national executive committee, Kasrils was instructed to leave South Africa secretly so that they could return publicly and legally. In June 1990, Kasrils openly returned to South Africa and was given a position in the organizing department of the ANC, at its HQ in Johannesburg. In July some of Kasrils' "Vula" colleagues were arrested in Durban and police learned about his undercover role. Kasrils went underground again and the police posted a reward for his capture. His indemnity was reinstated in June 1991 and Kasrils attended the July 1991 conference of the ANC, where he was voted onto the national executive committee. After the 1994 elections Kasrils served as Deputy Minister of Defence, under Mandela until 1999. In 1999 he was elected to the cabinet as Minister of Water Affairs and Forestry. Since April 2004, he has served President Mbeki as Minister for Intelligence Services. Kasrils has maintained his SACP membership throughout, including membership of the Party's Central Committee since December 1986. Kasrils autobiography, "Armed and Dangerous", was first published in 1993 and updated and re-published in 1998 and 2004. Many believe that if Mugabe's regime were ever to come under serious threat, the South African Defence Force would be deployed to save the day. Despite being of Jewish ancestry, Kasrils is militantly anti Israel and recently wrote "those who care for freedom, peace and justice must build a global Palestine solidarity movement to match the anti-apartheid movement of the 1980s." And we think our Labour government is bad. Evil Man. And there are those like your Anonymous friend of a few days ago that would defend the likes of him. The where he is flanked by two armed black guys makes him look like Sylvester Stallone. Pro Union Propaganda or Innocent Mistake?